This 10-pack of EJ26 Custom Light Phosphor Bronze Acoustic Guitar Strings from D'Addario features the company's original hybrid gauge and provides a comfortable compromise for players who want the depth and projection of light-gauge bottom strings, but slightly less tension on the high strings for easy bending. 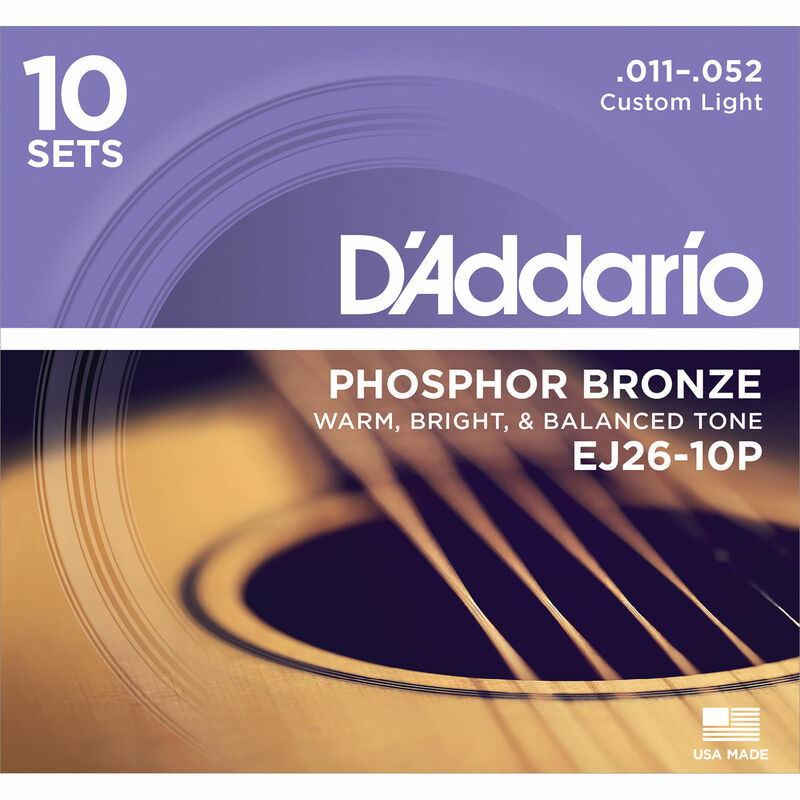 Manufactured from corrosion-resistant phosphor bronze alloy tightly wrapped around a high-carbon steel hex core wire, these strings deliver a long-lasting, bright-sounding tone with improved intonation. Box Dimensions (LxWxH) 4.5 x 4.5 x 1.6"